Spotlight on Unique Lending | Bus Busy Bags! The Free Library has said it before, and we'll say it again: we're all about books, advancing literacy, and more. 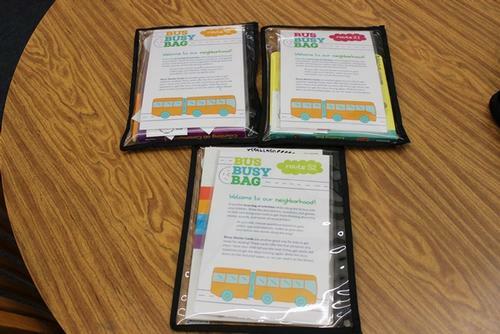 One of our newest unique items for lending is the Bus Busy Bag. These Bus Busy Bags (say it 10 times quickly!) make riding the bus with children more fun. They originated with a bus-riding librarian and gained depth from the sharing of places and stories of neighbors. The bags are designed for families with young children who are riding three bus routes through West Philadelphia and encourage great conversations by pointing out sites along the way. Families can learn about historic landmarks like the Paul Robeson House, as well as local parks, community gardens, murals, and more. They can lead to new discoveries or rekindled memories. 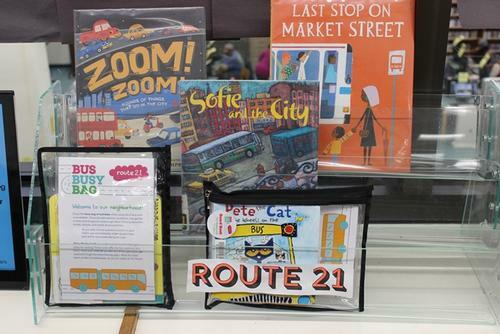 A colorful illustration of a West Philadelphia bus route near Blackwell West Regional Library that provides interesting facts about local landmarks along the route as well as questions that engage children in early literacy practices. A thematic book for the route (each route includes a board book for babies/toddlers and "easy readers" for pre-k and early readers). Story-starter cards that prompt families to create a story, along with a small notepad and pencil to share the story with the Free Library! 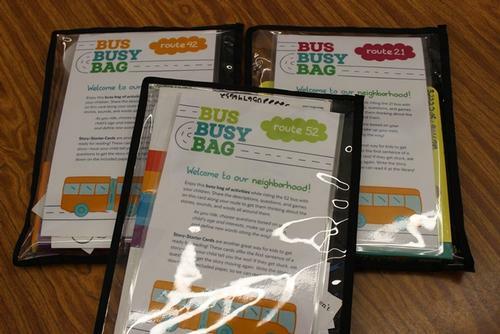 We hope that you love these Bus Busy Bags as much as we do! Read about many more unique items available for borrowing at a neighborhood library near you! Add a Comment to Spotlight on Unique Lending | Bus Busy Bags!